Basketball expert Peter Wang has established himself as part of one of the wittiest sports commentator duos in Denmark. 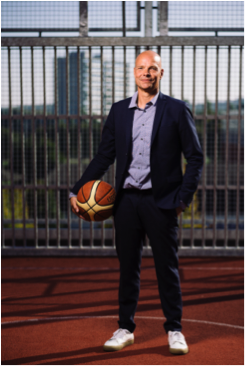 As the recent appearance of his partner Thomas Bilde on NBA TV would appear to testify, the potential for the popularity of basketball in Denmark is big. Given that Wang and Bilde have now been hosting hoops on Danish TV for ten years, we could think of nobody better to share their insight. Eric Maganga: Congratulations on the 10 years, what makes you and Thomas work as a duo? Peter Wang: I think the chemistry between us has always been a good match. Because we see things a little differently sometimes. He’s not scared to put me on the spot – he likes to do it. And I don’t mind – my strength is I don’t get thrown off by it. EM: Are you saying you have the easy job here? PW: Actually, I do. I can say what’s on my mind. It’s only easy because I spend a lot of time preparation wise – most of the things I say I’ve done some research on. EM: How deep do you go into it and do you research team or player? PW: Both, who’s doing good in the league and each team. I watch every game. I start with game one – if I see it’ll be close I stick around if it’s a blowout i see where did it happen. EM: How has basketball captured the Danish imagination? PW: Basketball is still not the biggest sport. I don’t understand I think it’s the greatest sport in the world. It is steadily going forward – but it’s baby steps. 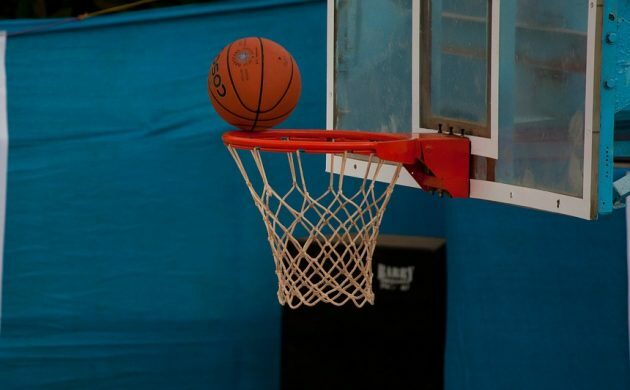 EM: The yearly NBA x 3 event in Odense – what has it done for basketball in Denmark? PW: Everything helps – those specific events you will get new audiences for a showcase like that, that is part of the growth of the sport in the Denmark. The hours are the biggest problem – three o’clock in the morning. It’s a problem we can only give the audience games on Saturday and Sunday in normal time – 21:30 which is late for the young audience. EM: How do you find the balance between expressing expertise and not losing the casual fan? PW: Yes, it’s something we discuss a lot. Because we want it to be for everyone, but we want the nerds to feel we take care of them too. EM: Basketball player Lonzo Ball’s father LaVar, has gotten into a war of words with Trump – your thoughts? PW: You can put it two ways – he is crazy, but he is laughing all the way to the bank. He is getting us to eat the story up but I’m feeling sorry for Lonzo. Having a brother in jail in China, having a father feuding with the president of the free world and you are 20 years old. EM: Why should someone new to basketball watch a game? PW: You won’t find better athletes in any sport, you won’t see the grace and beauty of the human body in action – the speed and brain activity you need to play basketball.